Our mission is to build on our history of product excellence and technology. We will provide the highest-quality and most reliable products and services to our customers through our highly skilled and dedicated employees. We promise to exceed our customers expectations in service and reliability through continuous improvement and customer interaction. We will strive to build a long-term relationship with each customer as an individual. We relentlessly pursue breakthrough ideas for our products in the international performance market and for family boating consumers. Our employees are the most important assets; we have developed the highest quality workforce in our industry. We seek to engage each employee in the continuous improvement of our business by recognizing their success achievements. Nordic Boats was established in 1962 by a stone mason from Nebraska. The legacy began in a small shop in Irwindale California. Orval Sommerstedt moved to California and work· as a stone mason, by chance, he was asked to help a friend build a race boat in his small garage … thus began a passion for boat building and boat racing, and so it continues today. 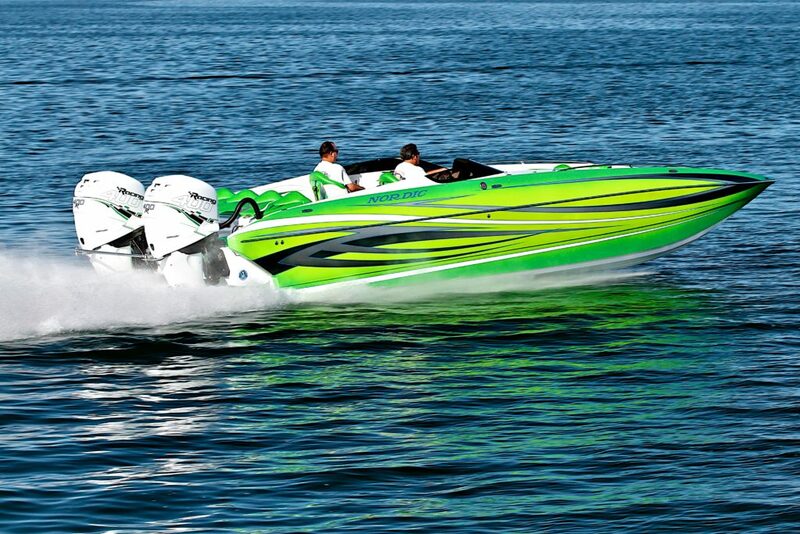 Since the conception of the company, Nordic boats has been building performance boats and building them well. 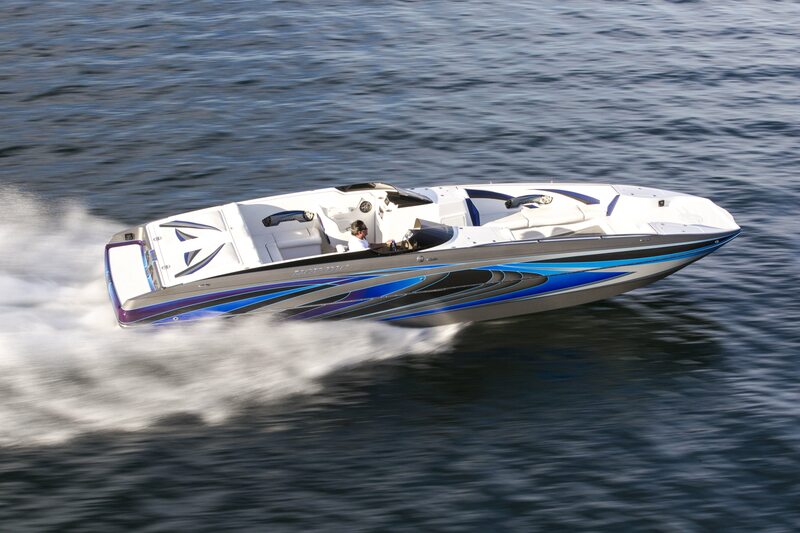 In 2005, Randy Davis purchased Nordic Boats from the founder and original owner. Randy brought with him his passion for boat racing and high speed ski racing. The winning combination has taken Nordic boats around the world, racing in Australia, Belgium, UK, Spain, France, and right here in our own backyard; the west coast high speed ski racing arena has been dominated by Nordic Boats for many years. 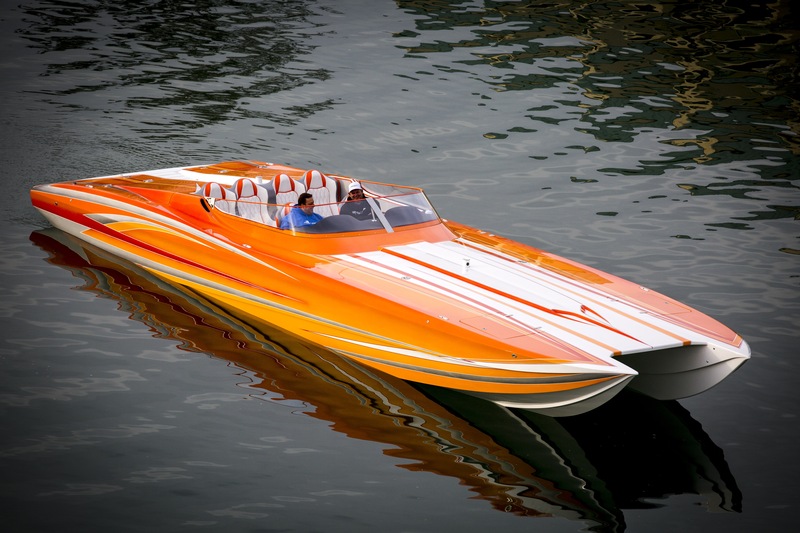 Nordic Boats has since grown to be one of the largest performance boat building facilities in the United States, and has one of the largest lines of boat models ranging in sizes from 21′ up to 47′ V-hulls and catamarans. A total of over 16 separate models and still growing! You will soon realize that you are not only the owner of a Nordic Boat, you are part of a legacy built on Passion and Performance!